Delight your skin with the goodness of Olive Oil made into soap! Casa de Lorenzo Moisturizing Castile Soap is the closest to the Traditional Castile Soaps of Spain. Made from saponified Spanish Olive Oils and scented with Rosmarinus officinalis Essential Oil, its mild cleansing properties make it ideal for those who have allergies and sensitive skin. 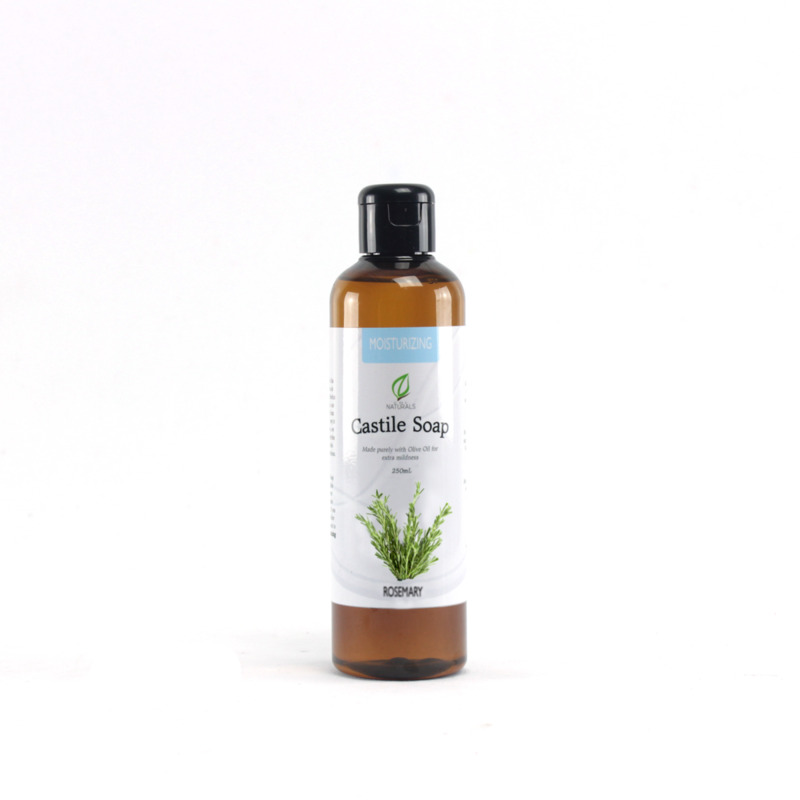 Our Rosemary Moisturizing Castile Soap is great for babies too and recommended for people who have dry skin. Casa de Lorenzo Moisturizing Castile Soap is innately thick and may not bubble or lather much. It is the inherent property of soaps made purely of Olive Oil. Made-by-hand, all-natural and organic liquid castile soap from Olive Oil with Rosemary Essential Oil. A true tribute to the Castillian tradition of soaps!